Lil Uzi Vert is no stranger to Satanic imagery. In fact, the young rapper has come to incorporate the dark side into his image, associating himself with the Heaven's Gate Cult, flaunting the number 666, and more. His seeming alliance to Beelzebub has already irked a few godly men, including Offset, who recently dabbled in the ritualistic for his "Red Room" visuals. In any case, Uzi has trudged on to the beat of his own drum, continuously establishing himself as the game's most enigmatic personality. Yet his antics have taken on somewhat of a "boy who cried wolf" quality. 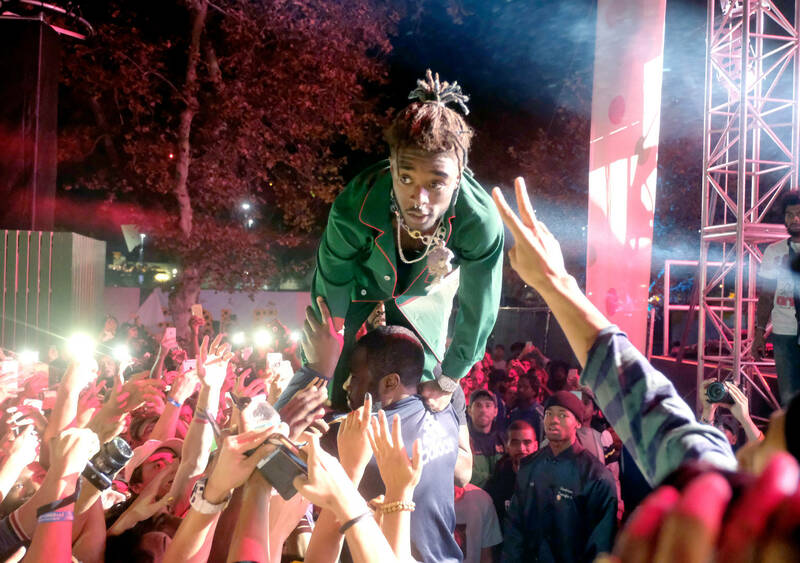 Few can blur the line between reality and publicity stunt like Uzi, and as a result, a genuine concern is difficult to muster. Still, his latest IG antics have raised more than a few eyebrows, given their rambling and nonsensical nature. Presenting a floral BIC lighter to the camera, Uzi proceeds to unleash a passage of unrelated non-sequiturs. "Okay, this ghost plant shape on this lighter would be a telepathic being from the future, but would have past or prehistoric-like features. And if bad oxygen got in it, it would die." Curious, and in some ways, kind of poetic. Yet lacking any sense of context, the rant simply fuels the notion that Uzi has not, nor will not, conform to your standards.